Joint Entrance Exam- Advanced (JEE Advanced) is a prestigious national level examination. 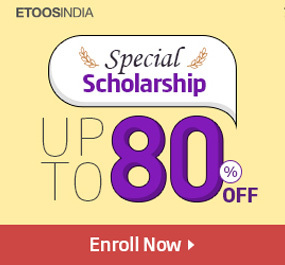 The annual entrance exam is a mandate in India if you wish to pursue engineering or architecture. Formerly known as IIT-JEE, the exam is conducted by one of the seven zonal IITs under the guidance of Joint Admission Board (JAB). It is the gateway to admissions in engineering, science or architecture courses in IITs, NITs, IISERs, and IIITs. 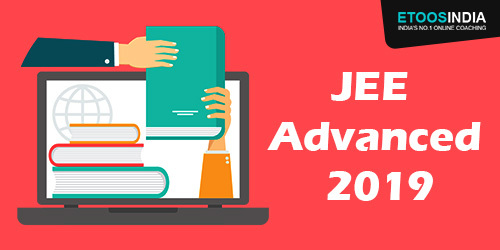 All those candidates seeking information about JEE Advanced 2019 should have a look at this article for all the important details. 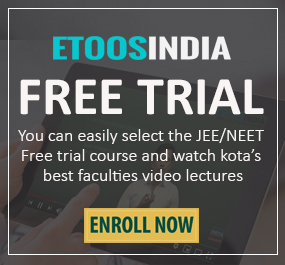 The registration for JEE Advanced 2019 usually begins from the first week of May and closes by 2nd week of May. Only via online mode candidates can register themselves for the exam. Post registrations, candidates are required to fill their academic and educational details along with their city preference. Gazette certificate/notification for showing the name change, if applicable. Female candidates (all categories) & Sc/ST/PwD are Rs. 1300+GST. All other candidates need to pay Rs. 2600+GST. For SAARC Countries, all candidates have to pay USD 160+GST. For Non-SAARC countries, it is USD 300+GST. The application fee is increased due to GST. It is neither refundable nor transferable. The application fee can be paid via online (Debit card/ net banking) or offline (SBI Challan) mode. Indian Nationals/OCI/PIO/Foreign national candidates can apply for this exam. Candidates who are applying for JEE Advanced 2019 should have been born on or after October 1, 1994. 5 years of age relaxation is given for SC/ST and PWD candidates. Only 2 attempts in consecutive years are allowed for candidates. Appearing in JEE Main 2019 is a mandate for appearing in JEE Advanced 2019. Appearance in class 12th or equivalent examination should be either 2018 or 2019 for the first time. For JEE Advanced 2019, only top 2,24,000 lacs JEE Main qualified applicants (including all categories) are eligible. Candidates obtaining positive marks in Paper 1 of JEE Mains are only eligible. Applicants should secure at least 75 % marks in 10+2 or equivalent exam. (In case of SC/ST/PWD category, it is 65%). Best of two percentages will be taken into consideration if a candidate has appeared in 10+2 or equivalent exam (in the year 2018) and reappeared in 2019. If a candidate is within the category wise top 20 percentile of qualified candidates in 10+2 or equivalent examination, then he/she is eligible to appear. Candidates whose admissions at IITs were cancelled after joining are also not allowed to appear for JEE Advanced 2019. Students should not have accepted admission in any of the IITs earlier. If a candidate is studying in a preparatory course in any of the IITs for the first time in 2018, then he/she is eligible to appear in JEE Advanced 2019. The exam consists of two compulsory papers (Paper 1 and Paper 2). It is mandatory to attempt both. The iit entrance exam is conducted through online mode only. The time duration for each paper is 3 hours. Extra time is given to PWD candidates. The nature of questions is objective type. The exam is conducted in both English and Hindi. Provision of negative marking is available though it is different for each paper. Questions for subjects Physics, Chemistry and Mathematics are asked in the paper. Keep following us and don’t miss any update on the upcoming exams!